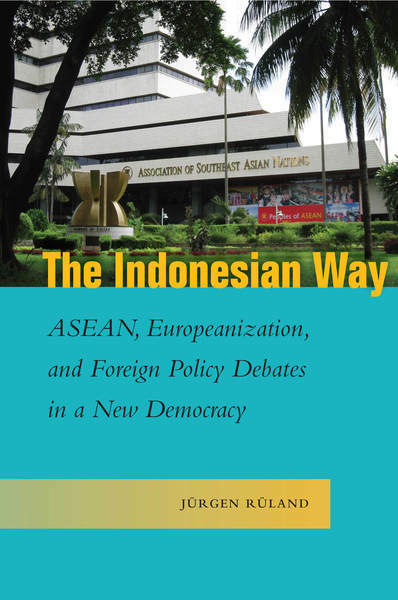 The book presents a novel analytical perspective on Indonesia's security policies during it's transition to democracy. Kurniawans analysis revolves around extraordinary measures and normal politics in response to the existential threat to the Indonesian state. 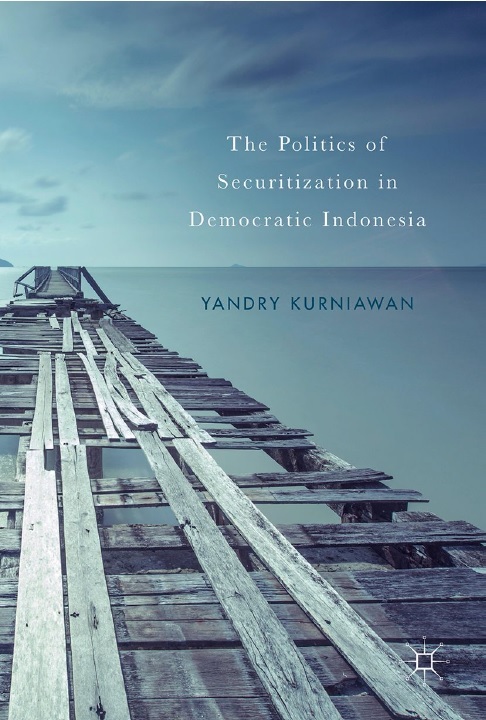 This perspective is at the centre of the analysis which examines the process of securitization and desecuritization taken by the Indonesian government. This volume is essential reading for practitioners, students of Indonesian politics and researchers alike. This book investigates theoretically and empirically whether and (if so) how state weakness influences the way in which national civil societies constitute themselves, using Bangladesh and the Philippines as case studies. A vibrant civil society is usually perceived as an important ingredient of democracy, but does this hold for civil society in weak states as well? What does civil society look like in contexts of state weakness? How much and what kind of political influence does it have in such settings? And are its actors really capable and willing to contribute to democracy in states where independent and legal bureaucratic institutions are weak? Addressing each of these questions, the author points the way to some hard re-thinking about the basis for and approach to development assistance to and via local civil society, with crucial repercussions for the ways in which international development assistance is designed and funded. This book analyzes the response of the Indonesian press to American foreign policy during the administrations of Presidents Bush and Obama. Situated in Southeast Asia, Indonesia is the world's fourth most populous country and the largest Muslim nation, and as such is a potentially vital economic and strategic partner to the US in the 21st century. Ever since Indonesian independence post World War II, relations to the US have been marked by ups and downs. The authour argues that the way the Indonesian public perceives the world has an impact on the national self-image that again heavily influences national foreign affairs. For both the US and Indonesia, this is a crucial moment in bilateral relations This study explores Indonesian media responses to American foreign policy by analyzing mor than 400 press articles. In the context of President Obama's declared "pivot to Asia", both countries need to find a way to foster better relations. This book discusses whether labor migration can affect democratization processes and what impact the political order of the host country has on this potential effect. It attests the potential of the migration experience to affect migrants' attitudes towards democracy, thus playing an important role in the support needed for democracies in the stage of consolidation. Our findings suggest that the migration experience may not only lead to a more critical stance towards the political system of the home country; there are also indicators of lesser support for the principles of democracy when compared to migrants about to leave the country for the first time. The political system of the destination as such seems to be a less decisive factor than the specific freedoms and restrictions experienced by migrants and a potential bias when selecting the destination. 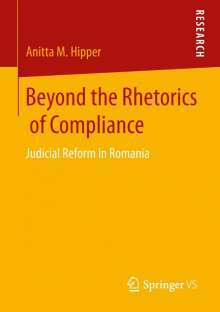 Anitta M. Hipper examines to what extent and under what conditions the EU's transformative power met with resistance in Romania. The book touches upon a raw nerve for the post-communist societies: justice and anti-corruption reform. Through the use of a context-sensitive approach, it assesses how domestic factors influenced the implementation of EU conditionality towards Romania from 1990 to 2012. Empirical investigations reveal a struggle between various interested parties in complying with EU conditionality. As a result, a complex layer of (non-) compliance emerged and it became a Herculean task to ensure the sustainability of reform by reformist forces within Romania and the EU. ASEAN as an Actor in International Fora addresses a blind spot in ASEAN research and in comparative regionalism studies by assessing why, how, when and to what extent ASEAN member governments achieve a collective presence in global fora. Written for academic researchers and practitioners working in areas such as international relations, political science and international law, it examines ASEAN's negotiating behavior with a novel four-point cohesion typology. 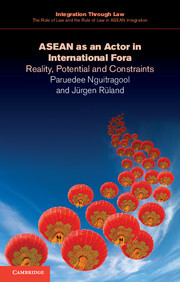 The authors argue that ASEAN's 'cognitive prior' and its repository of cooperation norms have affected ASEAN's negotiation capacities, formats, strategies and cohesion in international fora. Using two case studies - one on ASEAN's cohesion in the WTO agricultural negotiations and one on UN negotiations on forced labor in Myanmar - they examine ASEAN's collective actions at different stages of negotiation, in different issue areas and in different negotiating fora. The book concludes by providing recommendations for strengthening ASEAN's international negotiation capacities. While successful processes of regional multilateralism are taking place in all corners of the world South Asia and its neighbouring regions have not been able to successfully cooperate in a regional framework. At present, there are four regional organizations or initiatives: the South Asian Association for Regional Cooperation (SAARC), the Bay of Bengal Initiative for Multi-Sectoral Economic and Technical Cooperation (BIMST-EC), the Indian Ocean Rim-Association for Regional Cooperation (IOR-ARC) and the Mekong Ganga Cooperation (MGC) Initiative. Arndt Michael examines the genesis and evolution of these organizations by using the theoretical perspective of norm localization. The study focuses especially on India – a founding member in all four organizations – and traces the impact of India's foreign policy on the discourse, the development and the institutional designs of regional multilateralism. Series: Critical Studies of the Asia Pacific, edited by Professor Mark Beeson, Murdoch University. Panke, Diana (2013): Unequal Actors In Equalising Institutions. Negotiations in the United Nations General Assembly, Basingstoke: Palgrave Macmillan. Does size matter in international negotiations? This book examines the interplay between an institutional design that expresses the principle of the equality of states and the real world size differences of states in an innovative, multi-method investigation of the United Nations General Assembly (UNGA). Panke demonstrates that size-related capacities influence states' participation and effectiveness in international negotiations. Based on extensive interviews with diplomats of smaller and bigger states in a variety of geographical regions, this book develops a theoretical framework linking resources and incentives to states' inclination of formulating national positions and acting upon them. It distinguishes between the policy-initiation, negotiation and decision-taking stages in the policy cycle, illustrating the difference in activity between nations, which affect the dynamics and outcomes of negotiations between member states. This book reveals that there are real and politically significant limits to the effects of size and identifies specific conditions under which smaller states can punch above their weight. It will appeal to scholars of political science, international relations, diplomacy, comparative politics and public policy. Priwitzer, Kerstin (2012): The Vietnamese Health Care System in Change. A Policy Network Analysis of a Southeast Asian Welfare Regime. Institute of Southeast Asian Studies (ISEAS): Singapore. Within the last twenty years a large-scale bottom-up privatization has taken place in Vietnam, changing and dismantling the public health care system. This process has led to severe tensions inherent in the transitional society of Vietnam between equity and access to health care support - especially for the poor, elderly, migrants, and ethnic minorities - on the one hand, and its efficiency on the other hand. The book traces the reform efforts to modernize the health care system by the Communist Party of Vietnam and the Vietnamese government. The author bases her findings on little known primary literature and interviews with key stakeholders of the policy network involved in the reform of the health care system, thereby painting an authentic atmospheric picture of the profound changes in the health care system in Vietnam. 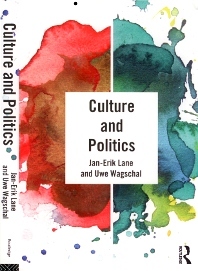 Lane, Jan-Erik/Wagschal, Uwe (2011): Culture and Politics. Milton Park: Routledge. This concise, accessible text presents an overview of the relevance of culture for politics. Culture figures prominently in the theories of the great classics such as Marx, Durkheim and Weber. Recently, the cultural approach to politics has developed quickly, and the concept of political culture has played a role in these developments, particularly given the emergence of large-scale survey research into political value orientations. Section I of the book discusses the relevance of cultural perspectives to political analysis including discussion of the most significant concepts and methods. Section II looks at the core elements of political culture – tradition, ethnicity and religion. Section III examines emerging research avenues and opportunities including social capital, value orientations in the postmodern world, newer formulations of political culture such as gender and sexuality and the influence of the environment. Drawing on a wealth of examples and a comprehensive analysis of comparative data, this textbook is essential reading for all students of political culture, research methods, political sociology and comparative politics. 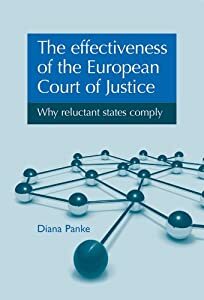 Panke, Diana (2011): The effectivenes of the European Court of Justice. Why reluctant states comply, Manchester: Manchester University Press. The effectiveness of international law depends upon the willingness of states to comply with its provisions. Despite the current move towards binding international law, every international organisation grapples with serious instances of non-compliance. As a reaction, numerous international courts and arbitration bodies have been strengthened in the last two decades. Unlike their domestic counterparts, international courts cannot rely on the monopoly of legitimate force as a last resort for restoring compliance. This raises the question under which conditions international courts are nevertheless able to promote compliance with international norms -- even against the initial will of the affected states. This book looks at the European Court of Justice (ECJ) as an example of a court, which can apply judicial discourses, judgments and sanction-threats to cases in which states are reluctant to comply. Overall, the ECJ is very successful in ending norm violations through its compliance-instruments. However, some cases require up to 17 years or even a threat with sanctions until the effectiveness of European law is restored, while others are settled somewhat faster via judgments, or very quickly through judicial discourses. The book shows that issue-specific variables, such as the nature of the issue, its interpretational scope, its fit to domestic ideas, influence whether one of the three compliance instruments successfully induces compliance -- even against the strong initial will of member states. Lane, Jan-Erik (2010): Comparative Politics. 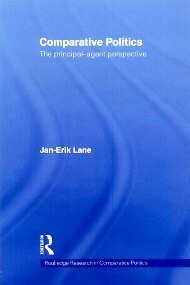 The Principal-Agent Perspective. Milton Park: Routledge. Kiatpongsan, Chaiyakorn (2011): The EU-Thailand Relations. 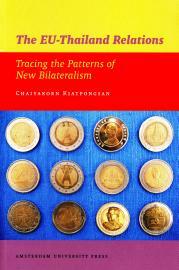 Tracing the Patterns of New Bilateralism. Amsterdam: Amsterdam University Press. The book focuses on the so-called new bilateralism, a foreign policy development widespread since the mid-1990s. The main puzzle addressed in the book is why the policy trend of new bilateralism has been pursued in spite of the widely accepted views on political and economic advantages of multilateralism. Methodologically, the book introduces a two-level analytical framework derived from foreign policy theories at the unit level. The case study of EU-Thailand relations shows that in times when multilateralism is in crisis shifts towards a foreign policy pragmatism occur and that the prospects of bilateral engagement, identity formation and rhetorical action facilitate such behavioral change. Nguitragool, Paruedee (2011): Environmental Cooperation in Southeast Asia. ASEAN's regime for transboundary haze pollution. London and New York: Routledge. One of the most challenging environmental threats to the ten countries of the Association of Southeast Asian Nations (ASEAN) has been the haze, the sickening and deadly cloud of smoky pollution caused by widespread burning of land and forests in Indoneasia. This book examines both the threat and response to it by analysing environmental cooperation in Southeast Asia from an international regime perspective. Tracing the development of regional cooperation on the haze and evaluating the effectiveness of the cooperation, the author argues that the haze crisis, combined with the economic crisis of 1997, has profoundly challenged the ASEAN modus operandi, and resulted in ASEAN's efforts to establish an environmental regime to cope with environmental challenges. The emerging ASEAN haze regime is a unique case study of a regional environment institution in multi-levelled global environmental governance. Based in in-depth original research, this case study is integrated into international relations, political science and comparative political analysis literatures and contributes to a better understanding of processes within the regional organization. Panke, Diana (2010): Small States in the European Union. Coping with Structural Disadvantages, Farnham: Ashgate. The most recent EU-enlargements have considerably increased the number of small member states. In the EU-27, 19 countries have fewer votes in the Council of Ministers than the EU-average. These small states face a series of size-related disadvantages in day-to-day EU negotiations. Against this backdrop the book asks: are some small states better at coping with structural disadvantages than others? How active are small states in participating in day-to-day EU negotiations and why do some states use negotiation strategies more frequently than others? Under which conditions are the different negotiation strategies effective and when can small states punch above their weight? Based on more than 100 interviews with policy-makers and an analysis of a unique database on the negotiation activities of EU member states, this book explains how active participation is essential for the shaping success of small states and shows that small states are more influential with persuasion-based rather than bargaining-based strategies. Two case studies on the pesticides and the spirit drinks regulations further reveal that persuasion strategies are especially effective if the arguments match the nature of the issue at stake and resonate well with prior beliefs of addressees. No other study comprehensively analyzes small states in a comparative perspective, examines their activity levels in EU negotiations and outlines which conditions are needed for the effectiveness of a broad range of strategies. This is an indispensable resource for students and researchers interested in how and under which conditions small states can influence policies in negotiations beyond the nation-state. Jetschke, Anja (2010): Human Rights and State Security. Indonesia and the Philippines. Philadephia: University of Pennsylvania Press. In recent years, influential studies have shown that the activities of human rights organizations are central in convincing violating governments to improve their practices. Yet some governments continue to get away with human rights violations despite mobilizations against them. In Human Rights and State Security: Indonesia and the Philippines, Anja Jetschke considers the impact of transnational human rights advocacy on the process of human rights reform and democratization in two countries that have been successful in resisting international human rights pressure. Jetschke describes in detail the effects of campaigns waged by international and domestic NGOs, foreign governments, local opposition leaders, and international organizations. She argues that the literature on transnational advocacy overlooks the ability of governments to justify and excuse human rights violations in their public dialogue with human rights organizations. Detailing efforts of international and domestic human rights advocates to protect the rights of various groups, the case studies in this book suggest that governments are able to block or evade pressures if they invoke threats to state security. Jetschke finds that state security puts in play a set of powerful international norms related to sovereignty—a state's right to territorial integrity, the secular organization of the state, or a government's lack of control over the means of organized violence. If governments frame persuasive arguments around these norms, they can effectively mobilize competing domestic and international groups and trump human rights advocacy. Human Rights and State Security shows that the content and arguments on behalf of human rights matter and provide opportunities for both governments and civil society organizations to advance their agendas. Kleiner-Liebau, Désirée (2009): Migration and the Construction of National Identity in Spain. Frankfurt am Main: Vervuert. Public debate about immigrant integration has often led to a heightened awareness or even a collective redefinition of identity. Spain provides a unique example of these processes for two reasons: its recent shift from high emigration to having one of the highest immigration rates in the EU, and its highly visible public dialogues on national identity. This book analyses the construction and reconstruction of national identities in current political discourse on immigration and integration at the level of both the central State and the Autonomous Community of Catalonia. Kessler, Christl and Rüland, Jürgen (2008): Give Jesus a Hand! Charismatic Christians: Populist Religion and Politics in the Philippines, Quezon City: Ateneo de Manila University Press. Evangelical and Pentecostal churches have grown worldwide in the last decades. In the Philippines, this growth has not resulted in a decrease of the Catholic faithful, but in a Pentecostalization of Philippine Protestant Churches and the Philippine Catholic Church as well. In terms of numbers, the Catholic Charismatic movement is by far outnumbering the adherents of Evangelical and Pentecostal churches. This book explores the surge of Charismatic and Pentecostal Christianity using data from a nationwide survey with interviews and observations among Pentecostal churches and Catholic Charismatic groups. The authors question common perceptions of Charismatic Christians as underprivileged masses and depict the Charismatic success as a genuinely religious phenomenon, which nevertheless might have political repercussions. They transfer the concept of political populism to the religious sphere and explain the attractiveness and the ambivalences of Charismatic religion with the properties of populism. The potential political ramifications of the Charismatic success are ambiguous: it has the potential to strengthen the legitimacy of democratic institutions in the Philippines as well as the potential to foster theocratic attitudes. Wagschal, Uwe and Wenzelburger, Georg (2008): Successful Budget Consolidation. An International Comparison. Gütersloh: Verlag BertelsmannStiftung. Demographic change is one of the most important challenges for public finances in future. In the absence of counteractive measures, the increasing demand for expenditures from an ageing society will inevitably lead to a debt crisis in many European countries. Nevertheless, the impressive budget consolidations in some industrialized countries show that a reversal is possible. In Germany, the already strained state of public finances will even worsen in the medium term. On the revenue side, the retirement of the "baby boomer" generation will lead to decreasing revenues from taxes and social security contributions. In terms of expenditure, the ageing of society will cause higher outlays for pension payments and increase the demands for services provided by the social security system. Therefore, a strict budget consolidation is necessary. In view of the need for budget consolidation, Professor Uwe Wagschal at Ruprecht-Karls-Universität in Heidelberg examines what factors can explain the successful budget consolidations in 23 OECD countries between 1980 and 2005. The international comparison shows how a successful budget consolidation can be achieved through a combination of expenditure cuts and revenue increases - accompanied by reforms of the political institutions. Ziegenhain, Patrick (2008): The Indonesian Parliament and Democratization, Singapore: Institute of Southeast Asian Studies. Democratisation in Indonesia has altered the political decision-making processes in many ways. It has also brought about tremendous change to the role of the Indonesian parliament in the country's political system. Once characterized as a powerless rubber stamp, the parliament has developed into a comprehensive and more representative body able to fulfil its functions more adequately. In the literature on democratic transition, the impact of parliaments on regime changes and on the democratic reorganization of the most important state institutions and regulations is usually neglected. The author addresses this lacune by describing the parliament's contributions towards the process of democratisation in Indonesia. Fritz Carrapatoso, Astrid (2007): The Greening of Free Trade. Domestic Politics and Environmental Issues in New Zealand’s Free Trade Agreement Negotiations, Saarbrücken: VDM Verlag Dr. Müller. Trade negotiations are a topic of growing importance, and the popularity of bilateral and regional trade deals as an alternative to slow negotiations at the World Trade Organization (WTO) is growing. But so is the anti-free trade sentiment among environmental and social-justice associations. Today, an important question is how free trade can be designed in a sustainable way. Based on the theoretical concept of two-level diplomacy, Astrid Fritz Carrapatoso analyzes whether domestic consultations help to further integrate trade-related environmental issues into trade agreements. Because the domestic dimension of international negotiations is often neglected, this study focuses on consultation procedures between the government and interest groups. Determinants for the integration of environmental aspects into trade agreements can thus be worked out. The book is aimed at scholars and students in the field of social sciences, economics, environmental studies, journalists interested in global and regional trade issues as well as environmental themes, politicians dealing with trade and environment issues and NGOs and other interest groups working in the environmental and/or trade sector. Rüland, Jürgen / Jürgenmeyer, Clemens / Nelson, Michael H. / Ziegenhain (2005): Parliaments and Political Change in Asia, Singapore: Institute of Southeast Asian Studies. This Study of the national parliaments of India, Indonesia, the Philippines, South Korea, and Thailand is inspired by four major theoretical discourses: Neo-institutionalism, parliamentarianism versus presidentialism, majoritarian versus consensus democracy, and transition theory. The book examines the specific role of parliaments in political decision-making, regime change, democratization, and consolodation of democracy in a comparative perspective. It argues that parliaments play a greater part in the political decision-making than is often asserted and that there is no cogent causal relationship between parliamenetary performance and system of government.